As the busy holiday season closes in on us, plan to take time to treat yourself to a class or two at The Cat's Meow! 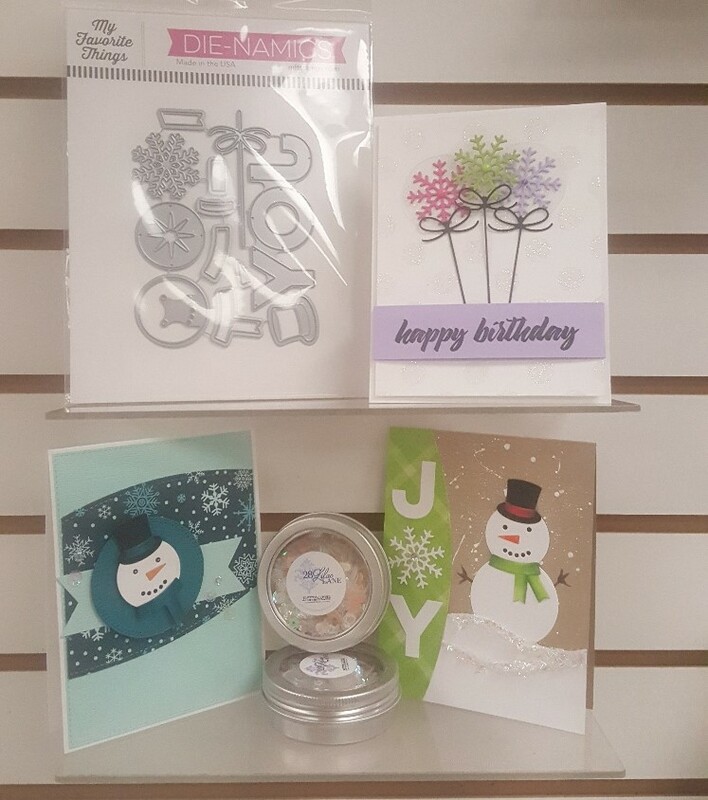 Robin has created three very special cards with stamps and dies from Heartfelt Creations. Who can resist this adorable little reindeer? 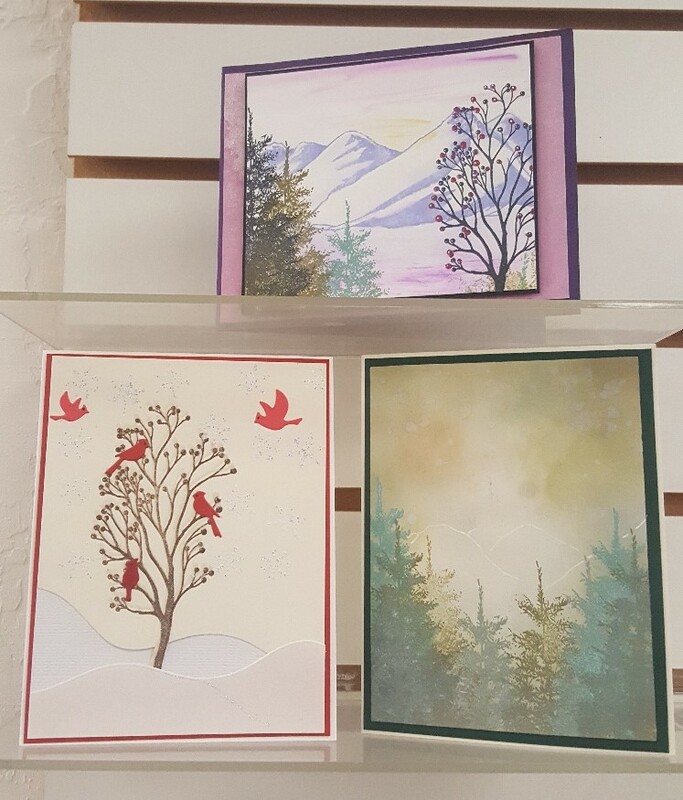 Saturday, December 8th Melissa has created three fun winter cards for you! 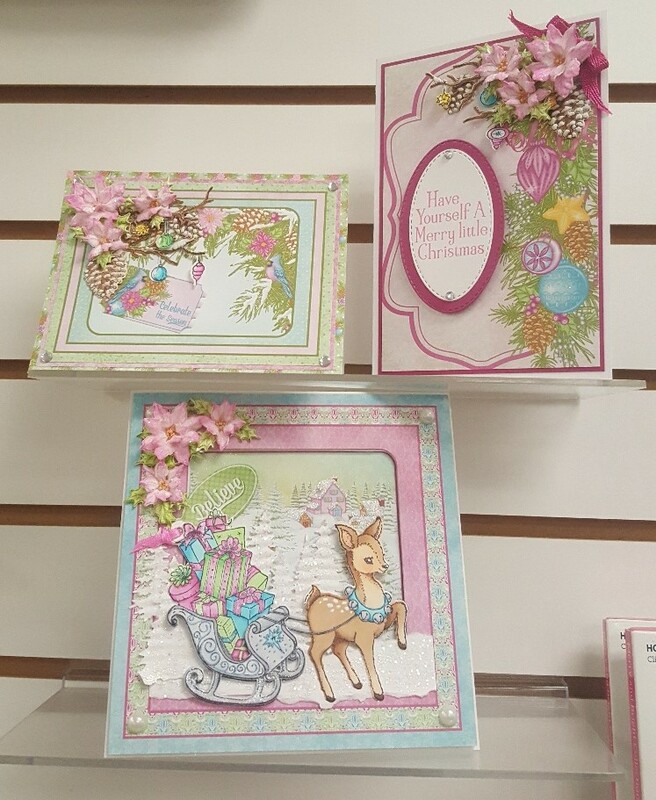 Saturday, December 15th, learn to make Kathy's beautiful Winter cards. As usual, classes are from 9:30 to around noon. Please plan to pay teacher fees ($18 per class) by cash or check. If there are special things you will need for class, we will give you that information when you sign up. Saturday, December 20th is Melissa's Home Décor class. I think the snowflakes that go with the barrel might be my favorite. 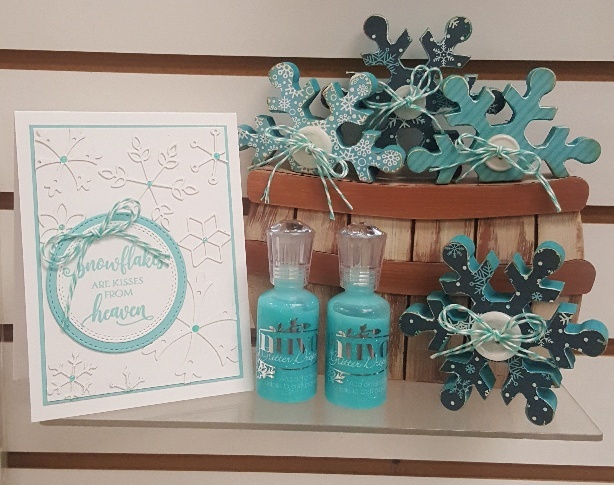 In the class you will make the card shown and complete the snowflakes that go with the barrel that was done in a previous class. If you missed the barrel class, you can catch up. This class is also at 9:30, class fee is $20. Saturday, December 22nd, we will get together at 11am for a Christmas Cookie Swap. Bring 3 dz cookies to swap and 1 dz for sampling! Just bring your cookies on a tray or in a storage container. You don't need to package them as we will each take turns packing our stash to take home. Do bring something that you can take your cookies home in. We will have some finger food and hot cider to enjoy while we visit.